New England Conservatory of Music of Boston, along with campus card service provider CardSmith announced the launch of the new multi-functional Penguin Pass ID card program for the NEC community. 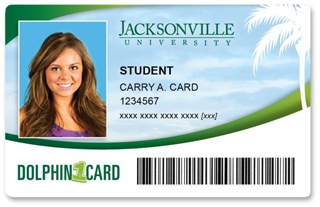 The program will be powered by CardSmith’s SaaS transaction processing platform and card program management solution and enable student cardholders to use their Penguin Pass Cold Cash account to make purchases at on- and off-campus locations. Off-campus businesses accepting Cold Cash will include BOLOCO, College Convenience, CVS Pharmacy, Cappy’s 2, Daddy’s Junky Music, D’Angelo Sandwich Shops, Domino’s, Dunkin Donuts, Economy True Value Hardware, JP Licks, Harvard Medical Coop, Nan Ling Chinese Restaurant, Qdoba, Quiznos, Symphony Market, Uno’s Chicago Grill and a host of other local businesses. Additionally, the Penguin Pass program will have a 24/7 secure online account center where students and parents can add value to Cold Cash, view transactions, manage account information and more. CardSmith will provide a toll-free customer care service with live-agent support for parents, students and other stakeholders. The company will also manage technical and financial operations for the Penguin Pass program. The Penguin Pass is NEC’s official campus ID card and the key to a wide range of campus facilities and services, including library privileges, dining plan transactions, copy and vending machines, laundry rooms, the Print Shop and more.